No two companies are the same, just as no two solutions are the same! As data capture specialists, we’re on hand to help at every stage of the data extraction life cycle, whether from imaged document, fax or email including attachments. No matter what the size of your business or the scope of your requirement, our extensive range of data capture solutions provides you with an idea of what we are about as well as the understanding every solution can be bespoked to your exact requirements. Eliminate the reliance on manual indexing & routing procedures which can cause delays, increase the risk of lost or misdirected paperwork and impact your customer service delivery. High volumes of paper passing through Accounts Payable departments can prove a serious administrative challenge. Invoice Extraction is a cost-effective solution that automatically extracts key information from the Header, Totals, VAT etc via different media formats using NON-TEMPLATE methods. 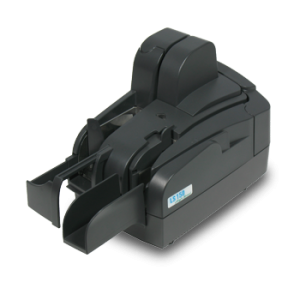 Capture data from Cheques and Remittance utilising specialised scanning equipment. Verifies the claim and vouchers balance using OCR recognition technology utilising specialised scanning equipment. Cognitronics have developed an application that imports the BACS file directly and also allows input of data from scanned statements. The Cognitronics Reconciliation Program performs an action where the BACS file and statements are reconciled against each other automatically where possible and allows manual reconciliation of multiple payments or statements. Typically used to extract columns of amounts and reference numbers spanning over single or multiple pages. Recognising each line, making time consuming add listing a thing of the past. • Studies show a 50 page listing manually key entered takes 7 hours to complete and verify. This system performs the task accurately and reliably with 100% no Operator intervention. Utilising our 3-way voting recognition engine, PDF text is recognised and associated to the PDF for content retrieval. Recognise the content of emails including attachments, if required convert to PDF, Tiff or other formats. We have been extremely impressed with the level of after service provided and the manner in which they have forged a partnership with ourselves which has enabled us to constantly review our processes and together come up with possible solutions. From Day one the team at Cognitronics has provided excellent service and technical support in the development of our redemption system over the years. They are very efficient and go that extra mile to ensure the success of any project they have under taken with our company. We have been solely in the business of Automated Business Solutions for well over 35 years. Proud of being financially sound, not owing a penny to the bank, owning buildings, land and fleet of cars, hence lower overheads means we can pass this onto our customers with value for money solutions. At Cognitronics we arguably boast some of the very best employees in the industry, we have a very low staff turnover and invest in our employees, encouraging discussion and ideas. The company wide mind-set is to provide a friendly, no pressure attitude to selling our products and solutions, through to an unrivalled excellence in after-sales customer service and support. Approachable, Sensible with a good understanding of Business Processes and the understanding of how our solutions benefit organisations.